In this course we will explore and deepen our understanding of the meaning of yoga through practical application of the yamas and niyamas into everyday life. Curious about yoga philosophy behind the yoga practice? Through facilitated discussion and interaction this course explores the yoga sutras and presented by Patanjali. This course explores the predominant themes of the ancient teachings of the Vedas, Upanishads and the Bhagavad Gita. Discover how they continue to be relevant in today's modern world. This list of events includes all of the courses currently available through the MLY Program. Classes are intentionally small to ensure quality of learning and experience. Courses are open to all folks interested learning more about the practice of Yoga - from its philosophy to living life, to yogic techniques. We'll also teach you how to teach, if that's what you'd like to do. Whether you simply want to learn more about yoga, or if you want to actually teach yoga, there's something here for you. Come join us. We are looking forward to spending time with you. observe one of your classes/sessions and provide feedback and so.much.more. Contact Kat or Jamine asap to be a part of this group! Minimum 6 people to start. 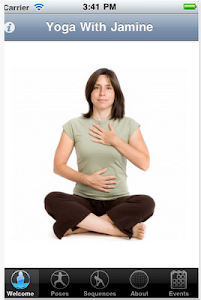 We work with you to confidently teach a safe and effective yoga class. Be The Teacher Intensive (300): Deepen your practice and Leadership. Certificate course. We work with you to deepen your practice of yoga, specialize and expand your teaching and develop stronger leadership skills. Intensive course. Cost: $0 ~ but so much fun. New YOGA MENTORSHIP PROGRAM~ March to July 2015!